A long time ago (1977) in a galaxy far, far away (Hollywood) George Lucas made a little space opera film called Star Wars Episode IV – A New Hope. Apparently equal parts enthralled by and dissatisfied with the narratives of the subsequent nine Star Wars films – and hungry for more information – fans have been speculating about the characters and their journeys ever since. Some die-hard fans turned professional producers and directors even got to make their theories come true – or as true as a fictional story set in space could be – as in the latest instalments of the saga. For those fans without the backing of a huge Hollywood studio, theories stay mostly that; little notions and ideas relegated to Reddit pages and Wookieepedia. But not this one. 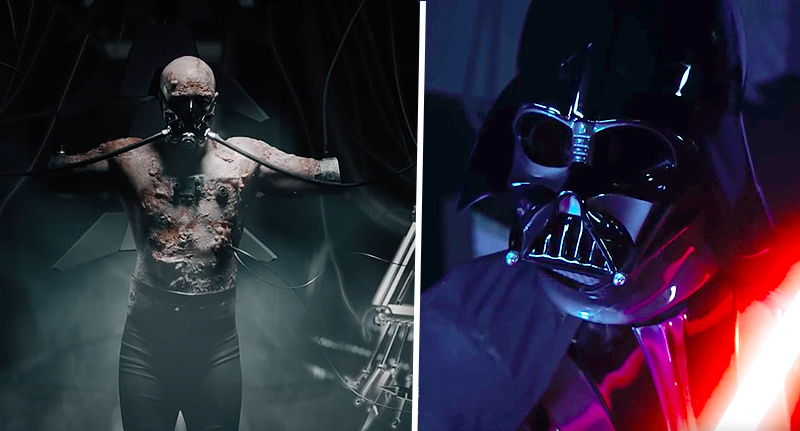 This fan film comes to you direct from the Star Wars Theory YouTube channel and deep dives the depths of Darth Vader’s dark mind. This is not your usual Darth Vader theory. There’s not a paternity DNA test in sight. For that reason, it’s gone very, very viral with 4,182,270 views at time of writing. Anakin Skywalker is DEAD. For eight months, the mysterious Darth Vader has enforced the Emperor’s commands. Entirely funded by the channel as a not-for-profit ode to Lucas’ original franchise, the fan-film is impressive in its spectacle, which runs for 16 minutes. Directed by Danny Ramirez and also co-written by the man behind the channel, the film has proven a real hit, with its own free premiere in Los Angeles. After the audiences reacted so well, the film has even got its own merchandise featuring that particularly epic scene in Vader’s meditation chamber. The fan-written narrative picks up months after the events of Revenge of the Sith, when Darth Vader is using the full might of the dark side of the force to fight off clone troopers in order to kill Emperor Palpatine. Harbouring anger towards his master for the death of Padme Amidala, Vader retreats to his own mind in this take on his twisted story from light to the darkness. Bar the impressive FX, the sound magic and the narrative depth, the greatest thing about this offering, though, is how it is dedicated to the Star Wars fans themselves. There were even open calls to cast the lucky individuals who got to help bring their favourite characters to life. I thank you for everything, and I hope to one day make episode 2 a reality… And to the fans, meeting hundreds of you at the free premiere in LA was surreal. You’ve changed my life forever, and I hope to bring you this first episode (and many more I hope!) as a gratitude and gift for what you deserve. I am eternally grateful. May the force be with this fan for all their future endeavours.